More and more people are choosing organic products over synthetic ones. For example, an organic body wash may contain plant extracts that soothe and soften skin without the harsh drying effects of sulfates or the potential hormone disruption of parabens. While it’s possible to suffer an allergic reaction to an all-natural soap, the side effects of chemicals are much more frightening. When you shop for an organic body wash, you might wonder about how to choose the best one for your skin. There is a wide variety of components with different benefits. How do you know what you need to care for your skin? Also, how do you know if the product is really organic, or if the company’s claims are misleading? Let’s answer this question first. How to tell if a body wash has real organic ingredients? If you purchase a body wash sold in the United States, and it has the USDA Organic Seal, it should have at least 95% or higher organic content. Unfortunately, the USDA doesn’t prosecute manufacturers that use false labeling, and neither does the FDA. A skin care company can also greenwash their products by labeling them as herbal or natural and try to make their packaging look like real organic brands. 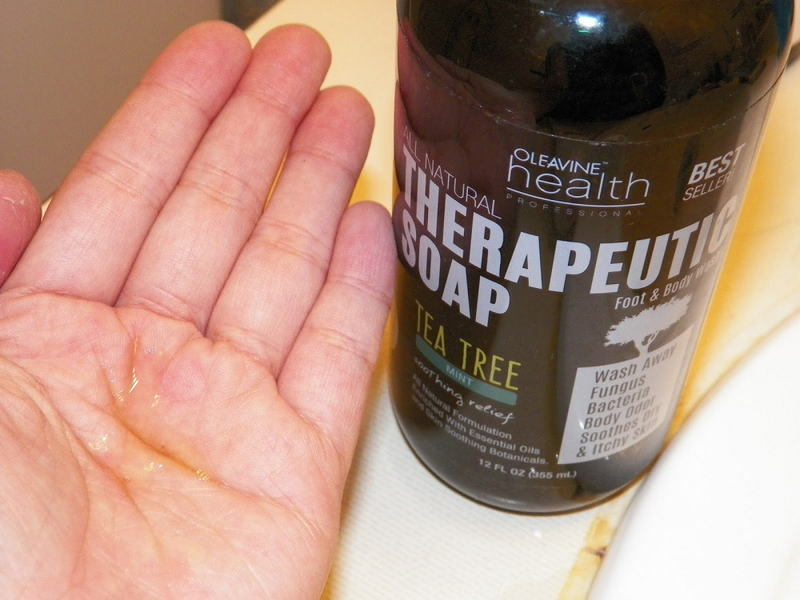 A soap might be made with both tea tree oil plus some undesirable chemical like parabens. If the maker of the soap claims it’s organic, they can often get away with it. But before you worry too much about this, you have ways to avoid fake and deceptive products. Read the ingredient list carefully. Check with the EWG Skin Deep database or the SafeCosmetics site. You can also take a look at the USDA’s list of certified organic companies, and check for NSF organic certification, too. Sometimes smaller companies don’t want to pay to have their products recognized as certified organic, but they may still be selling something worthwhile. Read user reviews and see if beauty sites or medical professionals recommend these washes. Which natural and organic ingredients are best for skin care? Your skin type, whether dry, sensitive, oily, or combination, probably has an impact on the body wash you use. Some plant derivatives help one kind of skin more than other types. For example, lavender is very soothing for sensitive skin, as is chamomile. But if you have acne-prone or oily skin, you may be shopping for a wash that contains tea tree oil. If you’re concerned about avoiding animal-based products, look for vegetable glycerin and avoid honey. As you look at bath soaps, see what the manufacturer claims it’s best for, and what users are saying. It’s never one size fits all. Now let’s take a look at the best organic body washes. An up-and-coming company called Puracy, LLC from Texas makes this Natural Body Wash with Citrus and Sea Salt Scent. They say their formula works on any skin type, on both women and men. It’s made to be safe for sensitive skin because it doesn’t contain sulfates that make lather, but can cause an allergic reaction, or artificial fragrances and dyes. There are also no parabens, triclosan, or phosphates that can knock your skin’s pH balance out of whack. EWG’s Skin Deep database rates this product as a 2, or low hazard. The Natural Body Wash uses coconut, Himalayan Pink Salt, pink grapefruit essential oil, and vegetable glycerin to wash, exfoliate, and moisturize without leaving a residue or film. Puracy offers a 100% money-back satisfaction guarantee. This particular body wash is not certified organic, nor does the company claim that it is. We included it in our review because it’s based on natural products, has a low hazard rating, and is extremely popular. Kiss My Face’s Active Athletic Shower Gel is also rated a 2 by EWG, meaning it presents a low hazard to health. It’s Leaping Bunny certified because it’s not tested on animals and it’s free of animal products. It doesn’t have parabens, phthalates, or artificial fragrances either. The Active Athletic formula is designed to soothe sore muscles and help you feel reinvigorated. It contains eucalyptus and birch aromatic oils as well as arnica and witch hazel. Again, it’s not certified organic, but it is primarily based on natural ingredients. Kiss My Face is a well-known manufacturer that’s been in business for decades. If you would like to try a different scent or formulation, they also sell Anti-Stress, Cold + Flu, Early To Bed, Early to Rise, Peaceful Patchouli, Silky Soft, and Tropical Indulgence body washes. Oleavine’s Antifungal Soap contains no petroleum derivatives, no synthetic fragrances or dyes, no detergents, no sulfates, and no parabens. This therapeutic body wash is made to get rid of odor-causing bacteria, jock itch, ringworm, athlete’s foot, and other fungal infections. The ingredients list contains some organics like hemp oil and shea butter as well as essential oils like neem, peppermint, and tea tree. Users say the scent is great for men or women. The body wash gives them a pleasant tingling sensation and leaves their skin soft. If you’re not completely satisfied, Oleavine Theratree offers a money-back guarantee. Dr. Bronner’s Castile soap comes in several varieties. It’s vegan and organic—in fact, the company itself is on the USDA’s list of certified organic manufacturers. EWG’s database lists Dr. Bronner’s Pure Castile Lavender Liquid Soap as a 1 overall, the lowest hazard rating they have. The base ingredients are hemp seed oil, glycerin, coconut oil, citric acid, olive oil, Vitamin E, and water, that’s it. There are no chemicals or preservatives. Different scents have different focus ingredients like Tea Tree oil, Peppermint, Lavender, Hemp Almond, Rose, Eucalyptus, and Citrus Orange. Users have often commented that a little bit of this soap goes a long way. Only a couple of drops on a loofah can take care of washing your whole body. This means the product lasts a long time. Some people use it as a shampoo as well as for doing the laundry or the dishes. AHAVA’s Dead Sea mud bar isn’t a liquid body wash, but it is a natural, mineral-based soap for bathing. The minerals exfoliate dead skin without drying it out. Some users have had success in clearing up body acne by using this product. Intelligent Nutrients is a certified organic company on the USDA list. Their Harmonic Body Wash doesn’t have any of the following harmful ingredients: sulfates, parabens, gluten, phthalates, or artificial fragrances. Instead, the formula is based on essential oils like Buriti fruit, black cumin, pumpkin, red raspberry, cranberry, peppermint, cardamom, cinnamon bark, and rosemary. Many of these herbal derivatives are certified organics, which is no surprise when you discover who founded this company. The same person who started Aveda is the founder of Intelligent Nutrients: Horst Rechelbacher. The aim of the Harmonic Body Wash is to help you relieve stress while you bathe or shower. Users seem to be very pleased with it on the whole. They report that it smells good, but the scent doesn’t linger. It doesn’t lather up much but leaves their skin feeling clean and soft. One last note: the Harmonic Body Wash got a 3 rating form EWG for “moderate hazard.” This may seem odd considering it’s from a certified organic company. Take into account that one ingredient, “flavor--organic,” is considered an unknown hazard. Another is potassium sorbate, a preservative often found in foods. Its presence in this wash comes near the end of the list of ingredients so it’s not likely to be as big of a concern, especially since it will be rinsed away. This just goes to show you that it’s helpful to research a little and put things into perspective. Trillium Organics is also a USDA-certified organic company. Their Geranium Calming Body Polish is a multi-purpose product that can do more than just get you clean in the shower. You can also use it to shave your face or legs as well as exfoliate. The formula avoids phthalates, petroleum derivatives, and parabens. It includes organic ingredients like crystalline salt, sunflower and safflower oils, non-GMO Vitamin E, lavender and geranium oils, plus lecithin and limonene. The company says their product moisturizes without feeling oily and exfoliates without scraping skin. They recommend “polishing” skin with it, rinsing away salt, and patting dry. Although it appears to be made as a body wash, a lot of users seem to be enjoying it as a hand wash and scrub. If you like this product but want another scent, try one of the others like Pink Grapefruit, Cedar Eucalyptus, Fragrance-Free, Lemon Ginger, Sweet Orange, and Cinnamon and Clove. Avalon Organics comes in five different scents: Lavender, Lemon, Peppermint, Rosemary, and Ylang Ylang. Each one of these bath and shower gels has a specific purpose besides just cleaning your body. For example, Lavender is calming and Ylang Ylang is soothing, both appropriate for a relaxing bath at the end of the day. Lemon, Peppermint, and Rosemary are good for helping you wake up in the morning, or give yourself a pick-me-up when you’re tired. Avalon says the ingredients in each body wash are NSF/ANSI certified. This simply means the company had them independently reviewed for verification that they contain at least 70% organic content based on their weight. The formulas are vegan, biodegradable, and don’t have GMO-derived components. There are no parabens or sulfates, either. The EWG database gives these shower gels ratings of 3 or 4, depending on the scent. Everyone 3-in-1 Soap comes in three scents: Coconut plus Lemon, Citrus plus Mint, and Lavender plus Aloe. Each one is based on a formula that’s certified to be non-GMO and cruelty-free. None of these soaps has gluten, polysorbate, or parabens either. Everyone (the company) says this product is a shampoo and bubble bath, not just a body wash. Users seem to have a lot of positive feedback about it. A couple of things to note are that the end of the ingredients list on the label reveals that there are a few ingredients of concern like benzyl alcohol, potassium sorbate, and phenoxyethanol. Those are flagged as moderate hazards by the EWG. Also, although the company says the essential oils it uses are “natural and organic,” they don’t have a USDA seal. Instead, it seems the products are manufactured in a certified-organic facility. The EO company itself appears to be involved in sustainable business practices. Using a new body wash can make starting the day (or wrapping up the night) much more pleasant. If you find the perfect one that leaves your skin feeling especially nice, that’s great. We hope we helped you choose your new favorite bath and shower gel today. Visit us again soon to see new reviews of the top products in beauty and skin care.